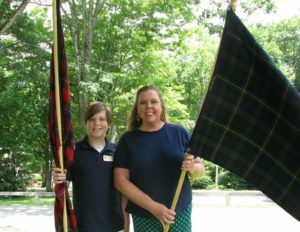 The western part of North Carolina saw several waves of Scots and Scots-Irish immigrants beginning as early as the 1600s. Many who landed in Pennsylvania made their way down the Great Wagon Road and settled here in the late 18th century. Others landed in Charleston, SC, and Old Brunswicktown, NC, and made their way north and west coming up the Pee Dee and Cape Fear Rivers. 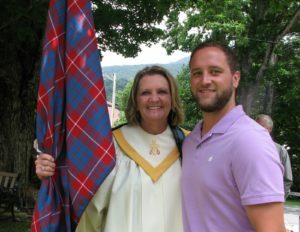 Of the estimated 28 million folks around the world who claim Scots ancestry, North Carolina has the largest settlement of Scots, and large numbers are still right here today. 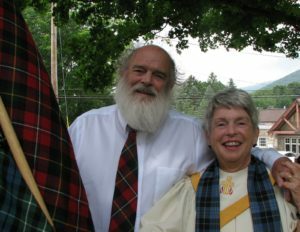 A Kirkin’ O’ the Tartan is an almost-Scottish American tradition, generally considered a rededication (of clans and others) to God’s service. 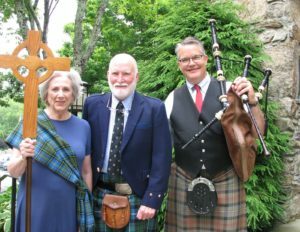 While 18th century Scots had to hide their ancient clan tartans in the Kirk (church), today Scots and those of Scots descent, celebrate both their national and their religious heritage with a Kirkin’. 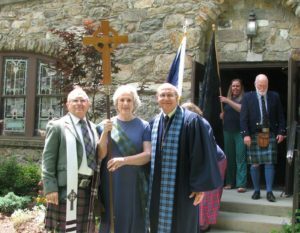 Presbyterianism has been the state religion of Scotland since 1560, so a church celebration and blessing of the tartans in our Presbyterian church honors both local and church heritage. Scots brought the Presbyterian Church to America. 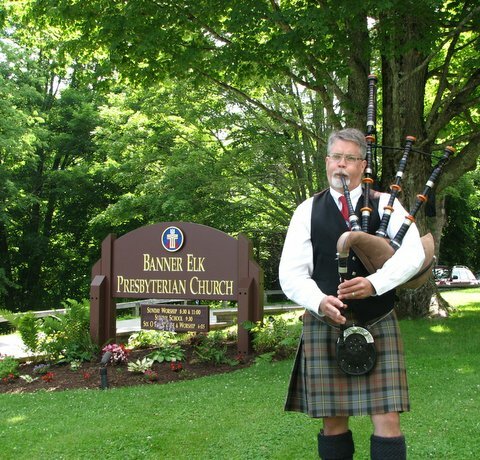 If you didn’t participate last year, this is what happens: At the beginning of worship, the piper plays from the rear of the church as the Beadle(a church official) delivers the Bible to the front of the sanctuary. 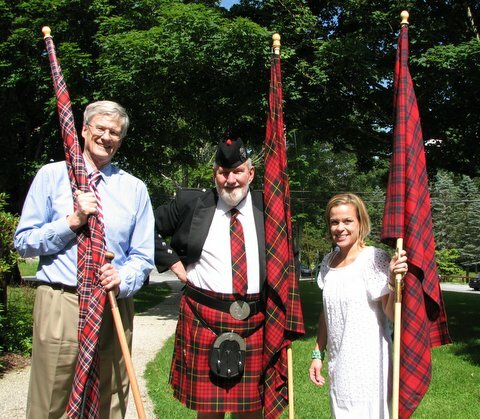 Then the piper processes to the front, and two members of a color guard deliver the US flag and the flag of St. Andrews. Tartan Bearers of the Scottish clans unfurl their banners and process down the aisles to the swirl of bagpipes. 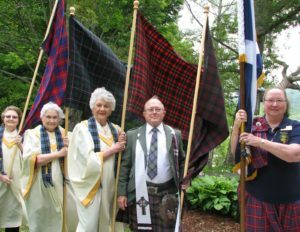 The Tartan Bearers, many wearing their kilts, place their Tartan Banners against the front of the church, and are seated. Regular elements of our service follow, until the end of the hour. 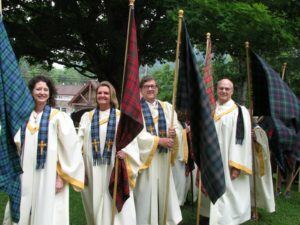 At that point, the banners will be retrieved, presented to receive the official Blessing O’ The Tartans, and recess from the church, again to the sound of the pipes. 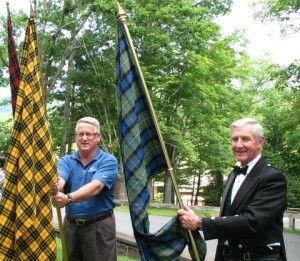 In 2015, BEPC members purchased a significant number of Tartan Banners. 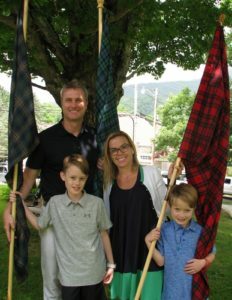 If you would like to have other Tartan Banners added, please let us know. If you have not let the church office know of your interest in taking part in the Kirkin, please call us at 898-5406 and sign up immediately. If you have any questions, you may talk with McNair Tornow, Ron McGowan, or Beth Johnston, members of the Kirkin Planning Committee.